Anyone care to post pics of their game room? Its always fun looking at that stuff! A leak under the slab of a bathroom floor has brought my gameroom project to a grinding halt. At the moment, one wall is framed out and the rest of it is littered with kids toys and bathroom remodeling stuff. I bet you want to know why there are pool balls on the pong table right? In my garage is a 9ft brunswick I am refinishing.....the pool balls are there to remind me I should be working in the garage, not playing xbox. C'mon guys, post those pics! 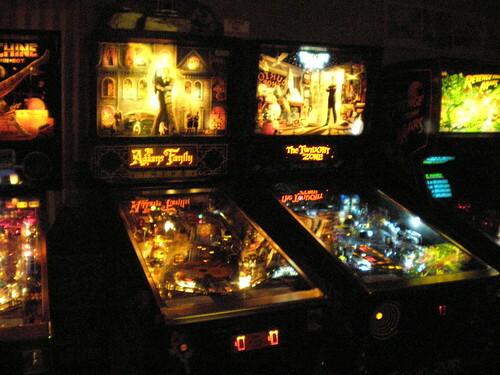 Aww man, Im jealous of that Tornado table Pinball. Also, Very cool art! 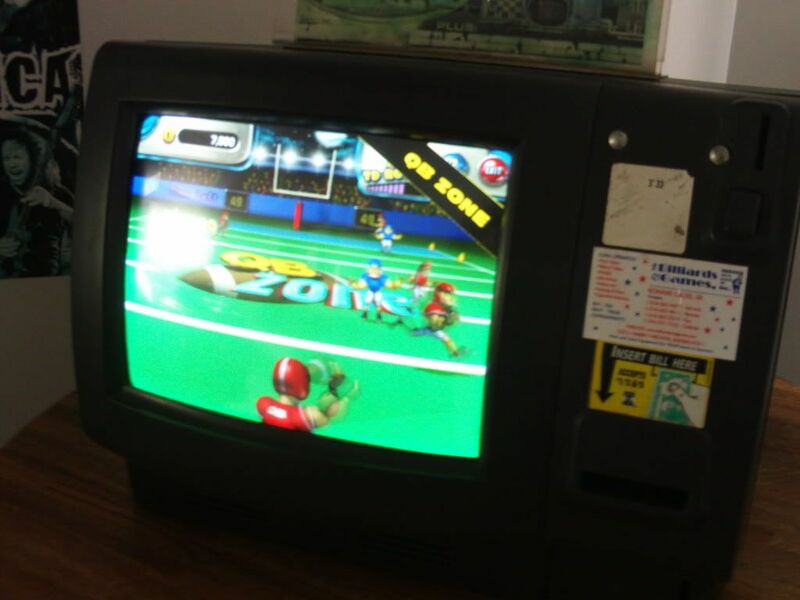 I may sound like a noob when asking this but what is a "Warrior" foosball? nice rooms guys. 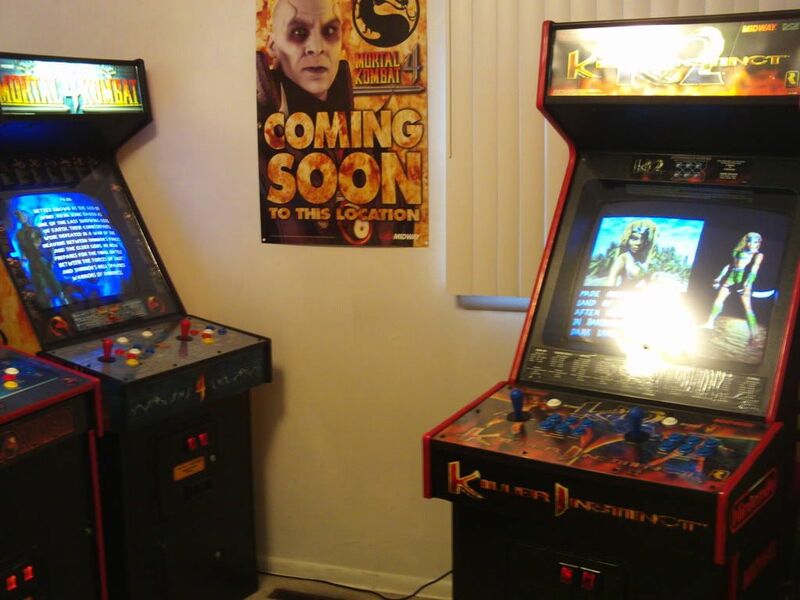 i was hoping to get my cabinets done soon so i could post my game room, but my wife and i decided a few days ago that we are going to try to buy a house. (we are currently renting one) so most of my projects are on hold since we will probably be moving soon. @pbwiz: that is a large room there. Can't quite see if you'll be able to fit that pool table with the ping-pong, but definitely without. May have to change the layout of the tables, like turning the foosball a quarter. 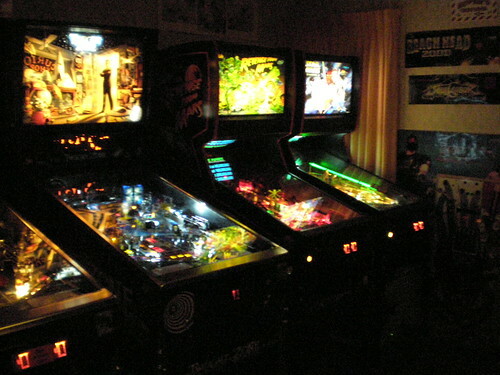 Nice gameroom pbwiz. Makes me wish I had room for a bar! I have a Winmau Blade III Bristle Board from Christmas last year. Thanks, I really like the style of your room broseph & its inspired me to beg for a Zelda quilt from my GF. Danke as well & you are correct about the pool table, it indeed *replaces* the pong table which goes into storage. Although I will mod the pong top to safely sit on the billiards surface for beer pong & etc. Regarding the lower level's size: 1,500 sq ft of finished space (+500 sq ft raw storage/shop) with a 9ft ceiling & a walkout = just enough space for the next wave of goodies & hopefully a 7ft darth vader. Well gentlemen I must end this post with my own quote of wisdom. "Alcoholics do not shake because they need a drink, they shake because they know they are about to have one & its exciting". Man I envy people with basements. 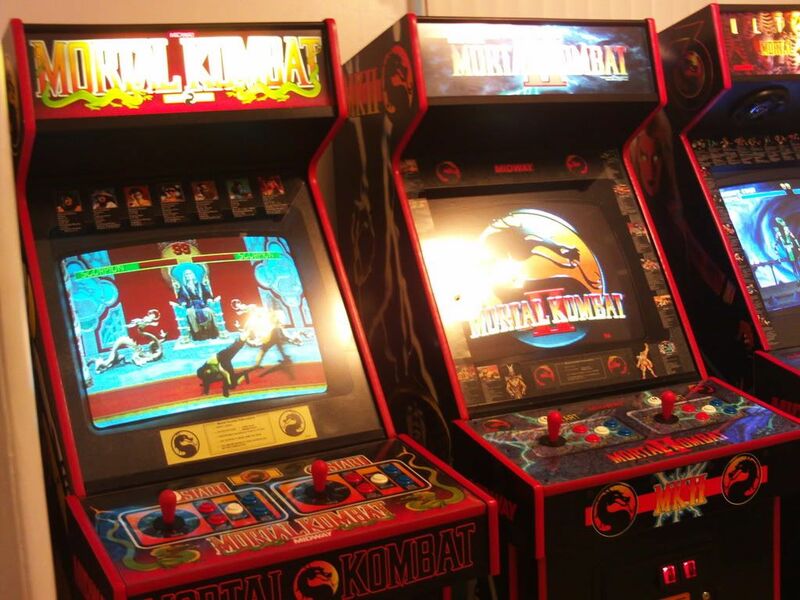 THAT IS THE GAMEROOM I WANT!!! !, WHEN I GET MY OWN HOUSE THAT IS WHAT I WILL HAVE! I love the pics and all the game room ideas. 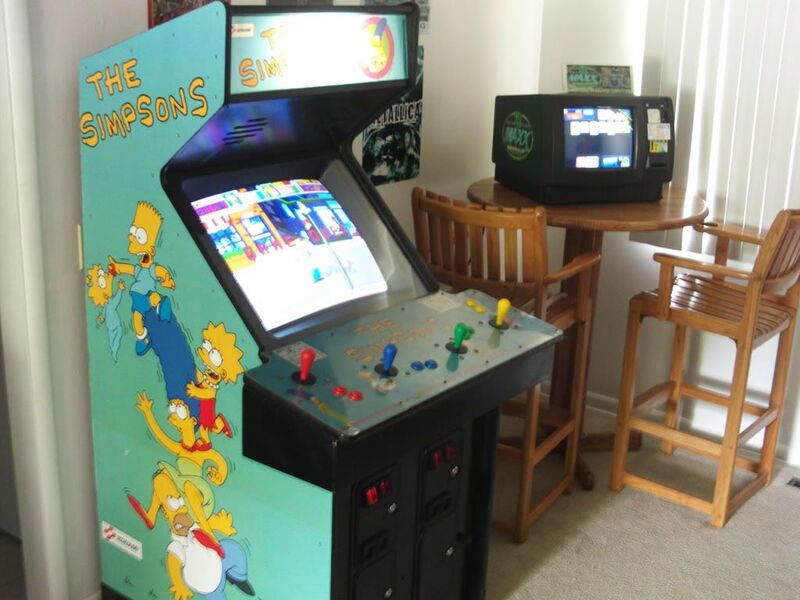 I myself grew up with a game room in our basement and I spent many hours/years of fun playing in it. 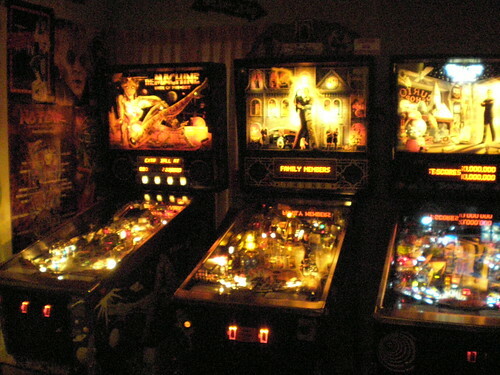 We had a vintage 1946 Rockola Jukebox, antique bowling machine, two antique pinball machines later exchanged for more modern games for multiplayer game play. A panchinko game from the 1970s like everyone had and a ton of cool beer signs and posters. I myself am currently working on creating my own game room and I'm thinking of using a theme, either an Asian Themed Game Room or International Themed Game Room. In either case I can't wait to get it done. And when I do I'll post some pics here, it may be a while though. I have a long thread on CGCC about the game room I've built in my basement. A lot more work has been done, but my camera is dead, but I'll post some more pics soon. Chazz......lets see those pics man! If you can build an arcade you can fix a camera right? Er, I cant even fix the downspout in my front yard so perhaps not. Chazz do you have any writeups on your LED sign setup? That's pretty cool. 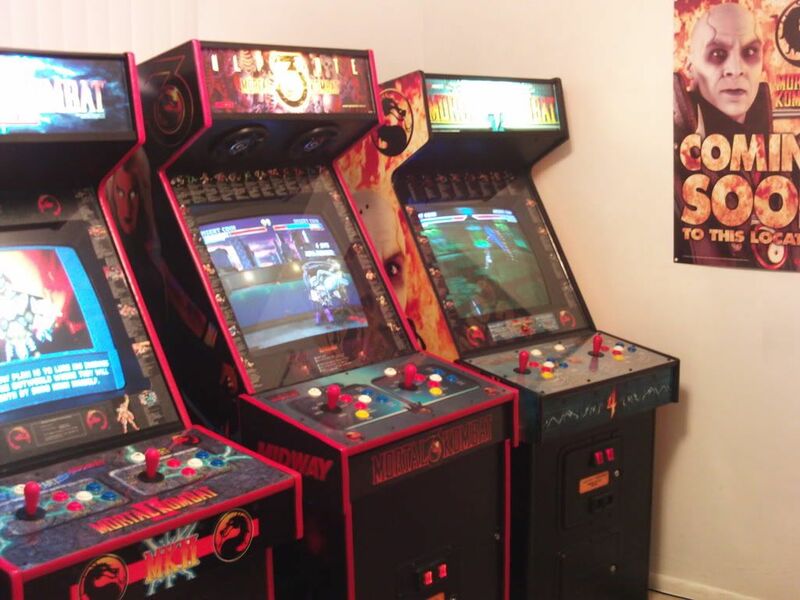 Someone should bug Saint for pics of his gameroom. Quite the electric bill. EDIT: Nevermind. I found an old post that he put up when he was building his model train track. 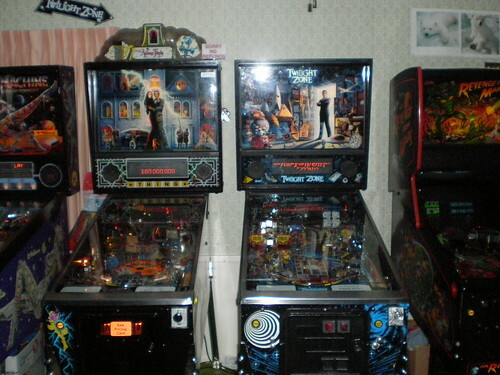 Nice gameroom Pinballwizard. That's pretty much how I'm looking to make my gameroom whenever the day comes that I own my own house. Damn. 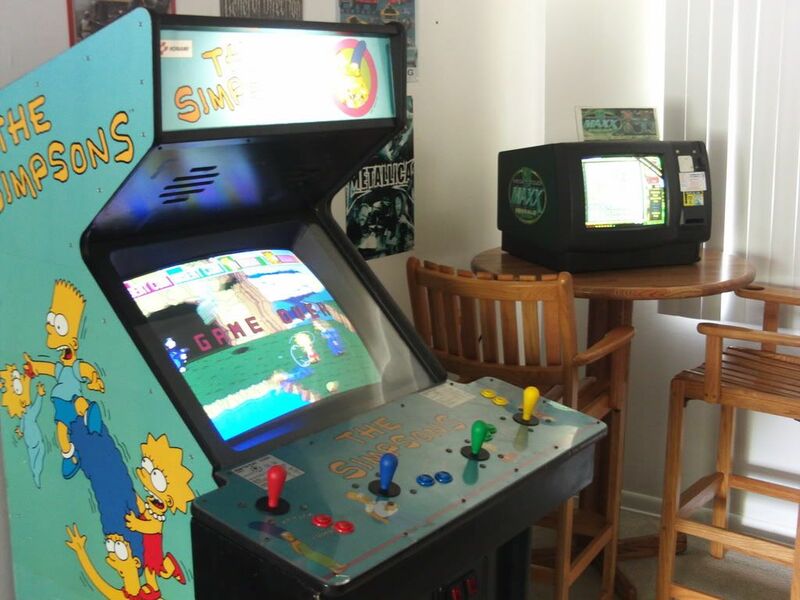 I wish I had a basement in my house that I could use as a gameroom. Living in a cape kind of limits your choices. Damn I wish I held off for a better house before I bought my current one! I live in Los Angeles. Cause of earthquakes, it's rare for homes to have basements. So you're basically shortchanged an extra room and don't get me started on what they already charge for housing over here. Even with the sudden fall of house pricing and all the foreclosures houses are still being charged an arm and a leg for them. A few actually so you even have to throw others peoples arms and legs into the mix. At least it sure feels that way. Basements. One of the few benefits of living in the MidWest! Mine is still a work in progress.. I see now why you call yourself MK3FAN, very fitting name. 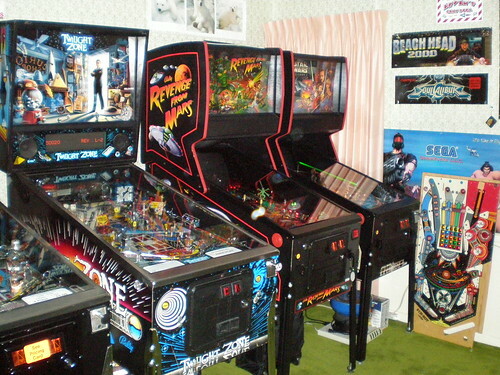 Nice room, very minty MK cabs! Its good to see lots of dedicated cabs & people that know how to have a good time, me likey! Thanks for the kudos bro. 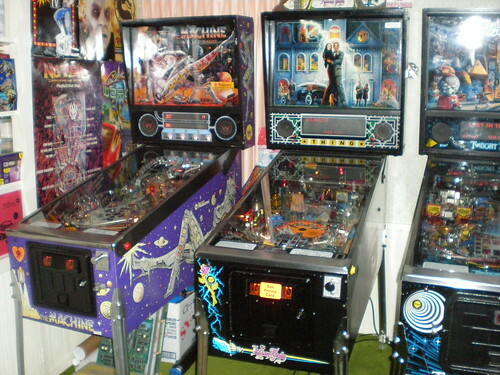 Q*Bert_24/7 thats quite a pinball collection brospeh. TZ & AF + both PB2000's = 2-3 brand new fourwheelers. Much like you however, I prefer the pins. I see now why you call yourself MK3FAN, very fitting name. 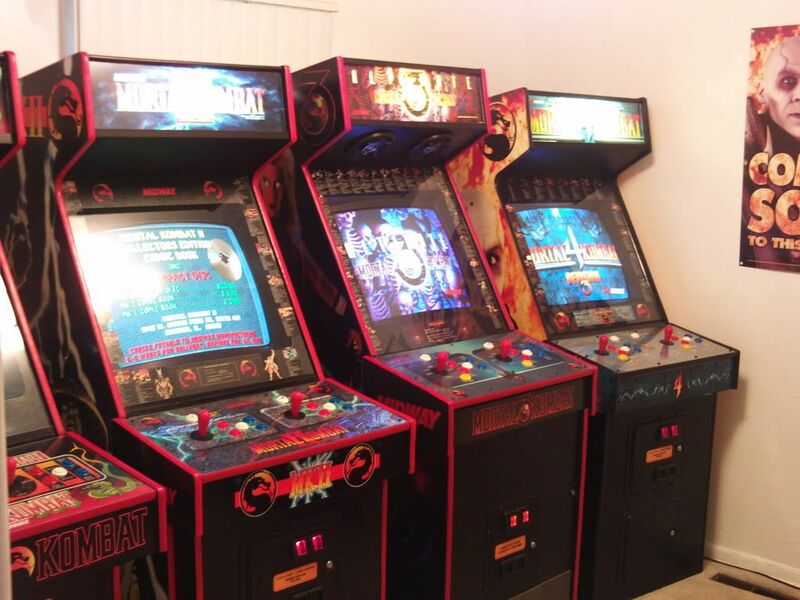 Nice room, very minty MK cabs & omg you have a friggin bartop megatouch! More pics guys, post more pics, this is great, its like Cialis for dorks, er I mean yeah thats what I said! I bet you can get a Taj Mahal like palace in the midwest for 400K. Here in California, you're lucky if you can get a house with a yard for that price. Where did you get yourself one of them Mega touch screens? Now that I think about where can I get some of the casino type gambling touchscreens? The ones that have many games in one? That would be awesome to have! But prefferably one that does nickels. 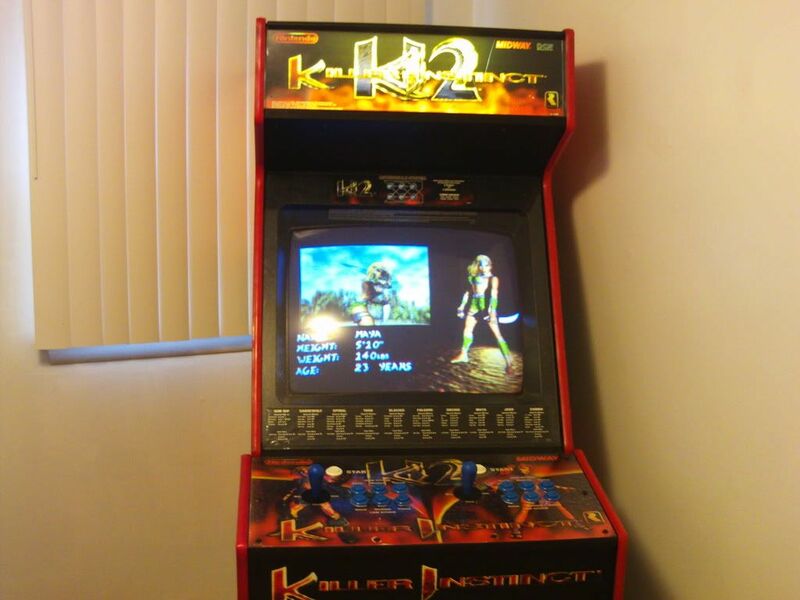 I got the Megatouch, The Simpsons, and the Killer Instinct 2 in trade from a local vendor for my Star Wars Trilogy Machine. That star wars must be worth a pretty penny. Also, I think it's illegal to own a video poker machine in California even if it is for private use. Call your Attorney General's office. Or your state government's division gaming. Or the police. Or an attorney. As long as its set up for tokens or freeplay & not in the states of: Alabama, California, Colorado, Conneticut, Florida, Indiana, Louisiana, New Jersey, North Carolina, Montana, South Carolina or Washington people can have one. I have a street fighter slot machine in my house, it only gets played when I drink a lot or when visitors are over. So yep, CA = no casino toys. I traded it at a value of $2000. 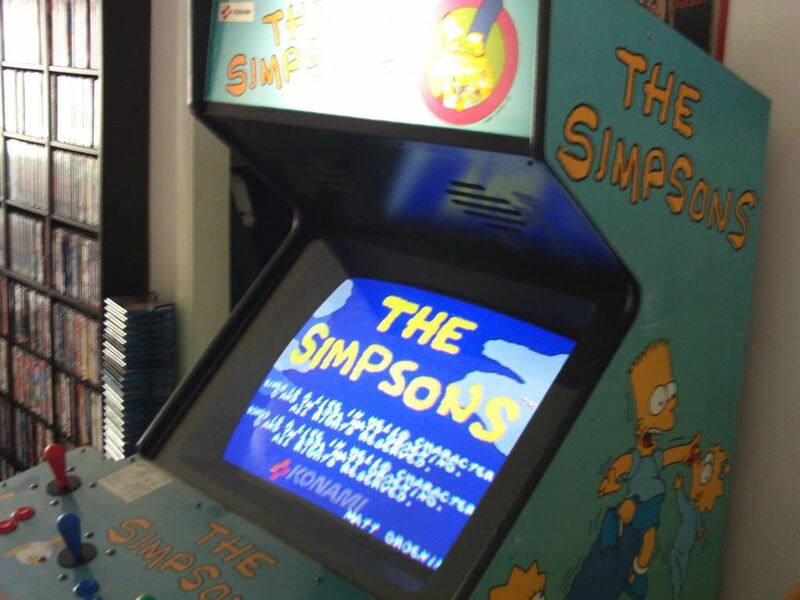 Me and the vendor came up with the Simpsons, the Killer Instinct 2 , and the Megatouch valueing $2000, and the deal was made.